EnerNOC continues to push outside of its core business. EnerNOC, best known as the top dog in demand response, is adding to its portfolio. Instead of more megawatts or square feet of building controls, EnerNOC is moving into natural gas. The company will manage natural gas consumption at about 4,000 commercial, institutional and industrial customer sites for National Grid in New York City. The five-year agreement includes hardware for fuel switching and on-site sensors that detect outdoor temperatures. The platform will automatically shift fuel consumption to optimize the use of fuel sources based on weather availability. Unlike demand response events, which are used in summer peak electricity demand for most of the country, the platform will be used when winter heating peaks in the Big Apple. 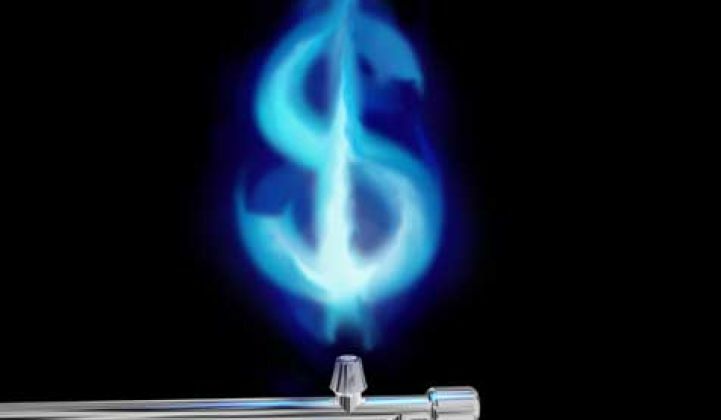 "Natural gas is a very attractive fuel for many of our customers, especially as prices have declined to historic lows. With that in mind, our goal is to leverage EnerNOC's technology to ensure that as many of our customers as possible have access to natural gas, even when demand is particularly high," Ken Daly, president of National Grid New York, said in a statement. EnerNOC will use its energy management platform to respond to programmable temperature settings and then switch fuel consumption between natural gas and oil based on set schedules or demand signals. It is not the first time EnerNOC’s platform will support gas. The company’s energy management contracts with the states of Massachusetts and Connecticut cover natural gas, according to Gregg Dixon, SVP of marketing and sales at EnerNOC. The company also advises its customers that use SupplySMART on natural gas purchasing. However, the National Grid project is the first time EnerNOC is helping a customer manage natural gas with this level of automation. "Utility energy management opportunities are evolving, and EnerNOC offers the full breadth of services to make the most of those opportunities," said Tim Healy, EnerNOC's Chairman and CEO. "From hardware to software to full integration with back-office systems, this project demonstrates that range. It's also true to our goal of helping customers use energy more efficiently. Whether that energy comes in the form of electric power or natural gas, we are dedicated to helping utilities and their customers save money on their energy purchases." For EnerNOC, the National Grid contract is part of an effort to expand its energy platform. The company is already working in ancillary services in electricity markets and it also has projects to help a few utilities balance wind power. The focus on rounding out its offerings could become more critical for EnerNOC after FERC recently sided with PJM Interconnection on the issue of how megawatts for demand response are counted. EnerNOC is not just expanding beyond PJM in terms of its product suite, it has also branched out geographically to Australia and the United Kingdom. The plan to move beyond demand response events has been part of EnerNOC’s strategy long before the PJM counting dispute came to a head. More than a year ago, Dixon told Greentech Media that EnerNOC wanted one-fifth of its business to come from non-demand response services. Whether it’s building management or other energy services, as customers get more sophisticated about energy management, EnerNOC might want to push its non-DR target beyond 20 percent.